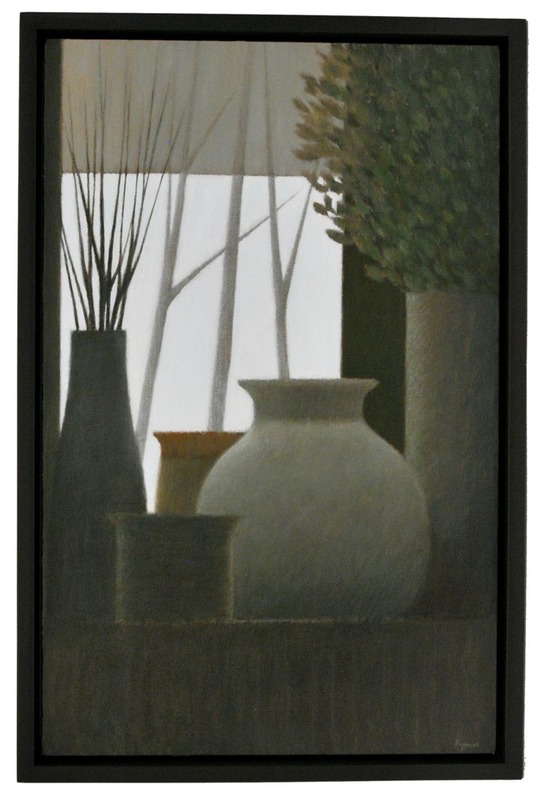 Robert Kipniss: An Exhibition of New and Old Paintings, Mezzotints and Drypoints. The exhibition will be open from November 10 - December 15, 2018, in our second floor gallery. Meet the artist Saturday November 10, 1-4pm. Robert Kipniss – Painter, Printmaker and Poet – was born in Brooklyn, New York, in 1931. His parents were artists. His mother worked as a fashion artist, and his father designed pages for Sears, Roebuck & Co. On Sundays his father would paint. Kipniss began drawing at an early age, and from the age of three on, he spent most of his time drawing. His parents moved to Laurelton, New York, in 1936 after the birth of his sister. It was here that he found his love for the woods and trees. He spent a great deal of time playing by himself in the woods near his home. Kipniss has always shunned formal art training. Therefore, in 1947 when his mother encouraged him to attend Saturday drawing classes at the Art Students League, he would only attend classes without an instructor. It was at the League that he was first exposed to figure drawing. High school years were not a strong period for Kipniss. He was more interested in drawing, reading, and playing pool than studying and doing homework. He was finally accepted at Wittenberg College (now Wittenberg University), in Springfield, Ohio. In college, Kipniss discovered an interest in learning and became more serious about his studies. It was during his first year that he began writing poetry. In his second year his roommate was a French exchange student, Pierre Lhomme, who introduced him to French films. In 1950 he decided to be a poet and transferred to the University of Iowa to major in literature. As with art, Kipniss did not want to be taught but to learn by working, so he avoided creative writing. To continue his love of drawing and painting, he made an arrangement with Professor Stuart Edie to attend painting and studio classes but not to be taught. He accepted that he would be given a failing grade if it was viewed that he did not make sufficient progress on his own. The next year he entered a painting competition and was awarded his first one-artist exhibition at a 57th Street Gallery in New York City. After graduating with his masters from the University of Iowa, Kipniss married Jean Prutton and moved to New York City. At this time, the art world was dominated by Abstract Expressionism, and he was unable to get a gallery to represent him. In 1956 he was drafted into the Army and was stationed in Fort Lee, Virginia. After his discharge in 1958 he and his wife returned to New York City. He was soon represented by The Contemporaries on 77th Street and Madison Avenue who purchased a few paintings and scheduled a one-artist exhibition for 1959. In 1961 after the birth of his second child, Kipniss moved his studio out of his apartment and got an evening job working for the Post Office. The working hours and family time cut into his creative time, so he decided to stop writing poetry and concentrate on painting. In 1963 the Post Office wanted him to work full time rather than evenings, so he resigned his position. He got a break when several of his paintings sold and a private dealer, Muriel Werner, began representing him, selling forty paintings the first year. Werner introduced Kipniss to Murray Roth, the director of FAR Gallery, who continued to sell and represent his work, and his career took off. Kipniss’ printmaking career began in 1967 when he made a few drypoints. His prints were represented at Associated American Artists. At the annual parties he met other artists including Will Barnet, Isabel Bishop, Chaim Gross, Louis Lozowick, Raphael Soyer, and many others. In 1968 at Murray Roth’s suggestion, he began making lithographs. This printmaking technique would dominate his graphic work for the next two decades. 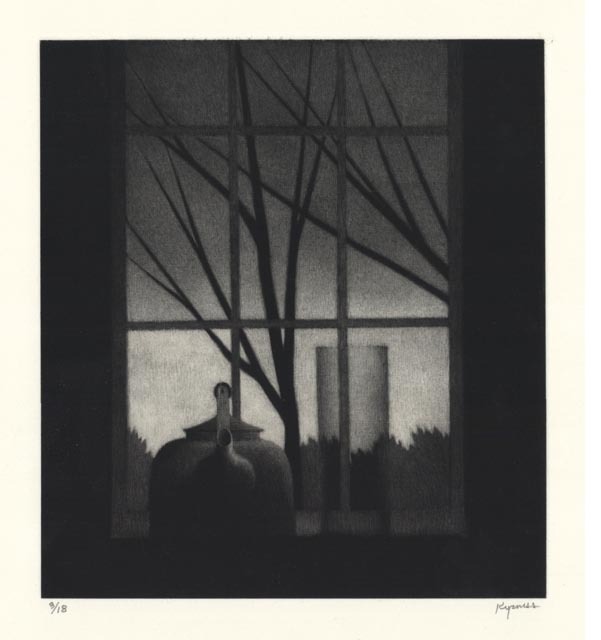 Associated American Artists commissioned two lithographs in 1969, and he was introduced to the workshop of George C. Miller and Son. He became very close with Burr Miller and later his two sons, Steve and Terry, and worked exclusively with them. He produced over 450 lithographs, some handcolored, between 1967 and 1991. 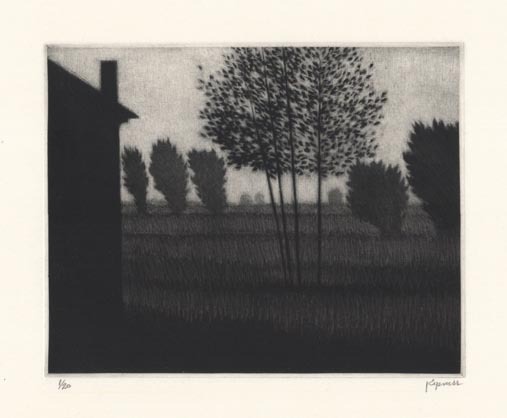 Since 1991 Kipniss, as a printmaker, has worked in two intaglio techniques: mezzotint and drypoint, for a while with master printer, Kathy Caraccio, and for the last twelve years with master printer, Tony Kirk. In 1994 he married Laurie Lisle and they live in Connecticut and Westchester. As an artist, Kipniss’ work has been accepted in over seventy museums including The Art Institute of Chicago, The British Museum, Brooklyn Museum, The Cleveland Museum of Art, Fitzwilliam Museum, Harvard University Art Museums, Library of Congress, The Metropolitan Museum of Art, Museum of Fine Arts, Boston, National Academy of Design, Philadelphia Museum, and Yale University Art Gallery. He has had numerous single-artist exhibitions including many in museums. His current museum exhibition, Robert Kipniss The Whispering Light, is at the Fort Wayne Museum of Art from October 29, 2016, to January 22, 2017. This show is comprised of 102 paintings and 30 prints and drawings. Just opened is another one artist show of prints, plates, and drawings at the Coos Art Museum in Coos Bay, Oregon. A large show of his work recently concluded at the Syracuse University Museum of Art. Kipniss is a member of the National Academy, New York; The Royal Society of Painter-Printmakers, London; The Society of American Graphic Artists, and has received lifetime achievement awards from SAGA and from the Artists Fellowship.